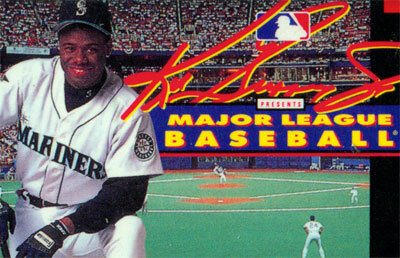 Ken Griffey Jr Presents Major League Baseball is a baseball simulation featuring Ken Griffey Jr. of the "Nintendo Owned" Seattle Mariners. This licensed game allows you to play with all 28 Major League Teams in their own stadiums and over 700 player names (not likenesses). You control your pitcher or batter as well your fielders. The game allows you to play and save a 26, 78 or 162 game season.